Product prices and availability are accurate as of 2019-04-18 19:51:09 BST and are subject to change. Any price and availability information displayed on http://www.amazon.com/ at the time of purchase will apply to the purchase of this product. If you're still using Word or something similar to write your books, then you're still writing in the dark ages. No matter what your writing style, whether you're a plotter or pantser, whether you like to write scenes out of order or go straight from beginning to end, or even whether you like to use index cards for creating your story, Scrivener does it. Unfortunately, with all that power comes great confusion sometimes. This book will help you cut thorugh all the mystery and let you unlock the amazing power of this software. 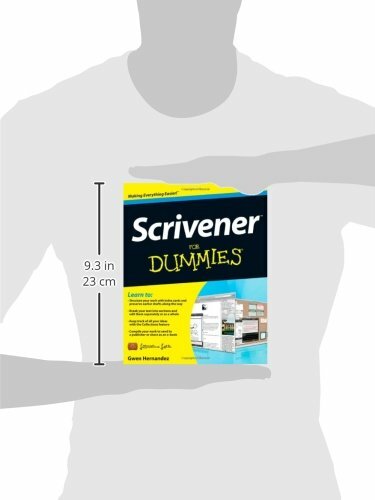 Whether your niche is fiction or non-fiction, research driven or pulled out of thin air, Scrivener can help you organize and format your book to make it the best it possibly can be, and with this book, you'll learn how to do it. 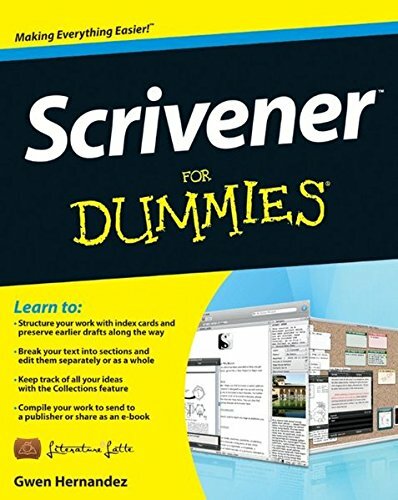 If you're a serious writer, you need Scrivener. It order to get the most out of Scrivener, you need this book. 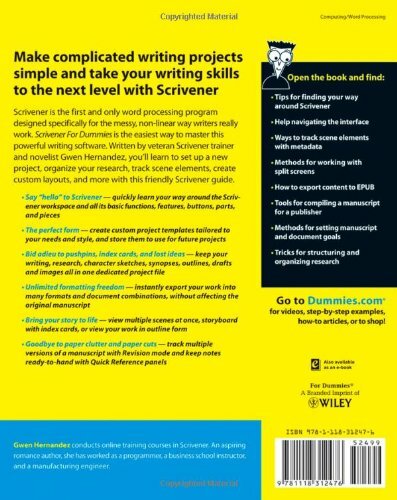 From idea inception to manuscript submission, Scrivener for Dummies makes it easierÂ than ever to plan, write, organize, and revise your masterpiece in Scrivener for Mac or Windows.